JNN 03 Sept 2014 New York : A New Jersey woman who worked four jobs, who sometimes “wouldn’t sleep for five days,” according to a co-worker, died Monday while napping between shifts in her car on the side of the road. 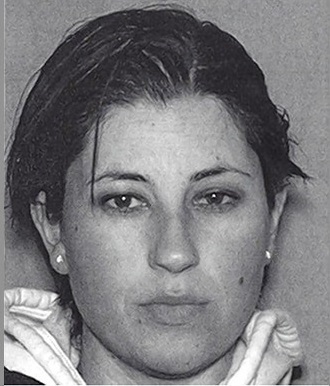 Maria Fernandes died in her 2001 Kia Sportage after inhaling carbon monoxide and fumes from an overturned gas container she kept in the car, according to the New York Daily News. The 32-year-old Newark woman pulled into a WAWA convenience store lot in Elizabeth, New Jersey for a nap early Monday. She left the car running. The carbon monoxide and gasoline fumes were the likely cause of death, authorities said. Fernandes was found dead in the car around eight hours later when EMTs responded to a 911 call of a woman found in a vehicle with closed windows and doors. Emergency workers sensed a strong chemical odor upon entering the vehicle, authorities said. “This sounds like someone who tried desperately to work and make ends meet, and met with a tragic accident,” Elizabeth police Lt. Daniel Saulnier said, according to NJ.com. An autopsy this week failed to determine the exact cause of death. Police are awaiting results of toxicology tests, Saulnier said, adding that no foul play is suspected. Fernandes emigrated to the United States from Portugal. She was beloved by co-workers at the Penn Station Dunkin’ Donuts in Manhattan, who called her a model employee. Fernandes also logged shifts at the chain store’s Linden and Harrison, New Jersey locations, co-workers said. Co-workers said Fernandes often sang Michael Jackson songs at work, mimicking his dance moves on the job. She had planned to take a break from her jobs this Friday to celebrate Jackson’s birthday at a Central Park memorial, according to NJ.com. Police have attempted to contact Fernandes’s sister in Portugal, Saulnier said. Police are also seeking a brother who works as a trucker out-of-state, he said. About 7.5 million Americans are working more than one job, according to the US Bureau of Labor Statistics. Those jobs often leave people short on income compared to full-time work, said Carl Van Horn, director of the John J. Heldrich Center for Workforce Development at Rutgers University. Following the recession that began in 2008, many Americans were shuffled into part-time employment, working two or three such jobs to make ends meet. “The average person who lost their job took a 10 percent pay cut (after returning to the workforce),” Van Horn said. Workers in the United States are earning an average of 23 percent less than earnings from jobs that were lost during the economic recession that began in 2008, according to a recent report, as wealth inequality in the US has shot to record highs, according to various indicators. Many long-term unemployed are considering abandoning their job search following years of stagnant economic growth. This entry was posted in America, United States and tagged carbon monoxide, Daniel Saulnier, Elizabeth, Jobs, Maria Fernandes, New Jersey, New York Daily News. Bookmark the permalink.